I read somewhere that fans hated the acting in blood, that Goo Hye Sun was really 'muted' in her acting and that Ahn Jae Hyun was not living up to the male lead expectations. Hmmm I don't know...maybe it's because I've already read such bad stuff about it, but 6 episodes in and I'm really liking this drama! I think it had a stronger start than Kill Me Heal Me, to be very honest (although Healer still remains the best drama of 2015 thus far). I like it that Goo Hye Sun is creating a different kind of Ri Ta, someone who is slightly cooler and isn't always that poor, enthusiastic, fearless girl whom Goo Hye Sun is used to acting as. 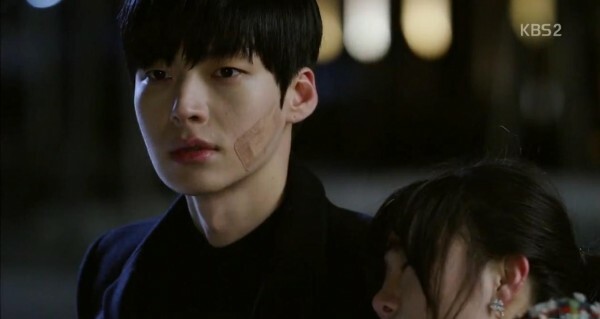 As for Ahn Jae Hyun, I do think he has a bit of baby-face and it's harder to incite that fangirling in me for him, but overall, I thought his acting was not bad. Not the best, but nowhere near being sucky.